Home EMPHASIS Is it time to end Franco’s legacy in Spain? A view of the monument at the Valley of the Fallen (Valle de los Caídos), Spain. As reported by media two weeks ago, a truth commission will be formed by Spain’s new government to investigate crimes against humanity committed by the regime of Francisco Franco, more than 40 years after his death. 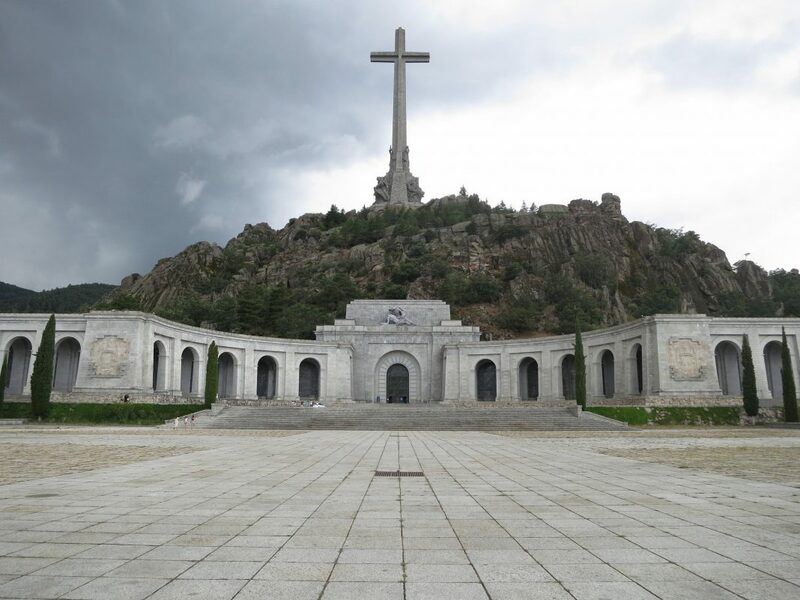 What is more, Franco’s remains will be moved out of the infamous monument in the Valley of the Fallen, which lies north of Madrid. Under Spain’s new law of historical memory, the criminal records of those convicted for opposing the regime will be wiped. The law will also outlaw organisations that venerate the memory of the dictator, such as the Fundación Francisco Franco. With its first free and democratic elections in 1977, Spain became an exemplary democratic society. But the ghosts of the Franco regime, one of the cruellest in Europe, continued to be present in the lives of millions of Spaniards. In fact, official records and data concerning the Franco’s victims remained closed to the public to protect the old establishment’s men. More than 1,200 mass graves and as many as 300,000 cases of forcibly abducted children still haunt the post-Franco era in Spain. As is the case with many other dictatorial regimes in Europe, such as in Germany and, Spain’s democratisation had to tread carefully through many difficulties. Italian Fascist and German Nazi regimes enjoyed popular support and created their own elites in politics and economy. After the war, the democratisation process faced the problem of the peaceful replacement of the totalitarian state structures with those democratic. After leading figures died or were sentenced to prison, the problem of integrating the middle or lower level personnel emerged. The creation of the People’s Republic of Germany offered one solution. Thousands of Nazis from the state, military and police were absorbed by the new state. Italy took another path, which led to the political integration of the Fascists through the creation of a legal neo-Fascist party, the MSI in 1947. (In 1946, the leader of the communists and justice minister, Palmiro Togliati, issued a law of general amnesty – opening the door to the Fascists’ integration). But in Spain, things took a different turn. The Franco regime arrived at the end of a process that saw the creation of totalitarian countries in Europe (during the 1920s and 1930s). Though it stayed out of World War Two, it never tried to hide its sympathy for Nazi Germany. In fact, it also benefited – rather successfully – from the opportunities that emerged from the Cold War. This means the Franco regime did not collapse after the death of the dictator, but it organised and led the democratisation. In fact, Francoist structures and personnel that had played a political role during Franco period made the first steps. The first democratic elected Prime Minister Adolfo Suarez, for instance, had covered various government positions in the late Franco era. The democratisation secured that political parties were legalised, including the Communists, and a multiparty democracy were established. But this peaceful change came with a price. Franco’s men remained in control in many aspects even when the Socialists took power in 1982. Criminal acts committed during the regime remained unpunished, mass graves remained a taboo and symbols of the Franco era continued to remind us that a part of the ‘Old World’ still remained untouched. In addition, the Franco version of an ultra-conservative Catholicism remained dominant among large parts of the population. The role of the structures that gave rise to the People’s Party was instrumental. The People’s Alliance, as it was named initially, was founded in 1976 by some political groups led by Franco’s former ministers. Manuel Fraga Iribarne, who served as culture minister between 1962 and 1969 and vice-president of the government in 1975-76, was the most prominent of its leaders. The party’s efforts were to obstruct a radical and decisive end of the Franco’s people, to avoid their punishment and to protect the many thousands of Spaniards they had worked for the regime. Fraga led the party until 1989 and transformed it to the today People’s Party. Shortly after, he backed the election of the new party leader, José María Aznar. Aznar, who became prime minister twice, had previously served as the leader of the Syndicalist Student Front – the branch of the Francoist regime at universities. Even Mariano Rajoy, elected leader of the People’s Party in 2004 and prime minister between 2011 and 2018, has an ultraconservative youth militancy history. He was a member of the ultra-traditionalist Spanish National Union in 1975, a party that had struggled against the establishment of democracy in Spain. All the above references are not intended to underestimate the role of the People’s Party in the democratisation process in Spain. The intention is to remind the reader that a strong component, which is narrowly tied with the extreme conservatism of the Franco era, remains a considerable player inside the party. Maybe it is because of this that Spain has not – until now – a mass far-right movement. This component actively obstructs any attempt to investigate Franco’s crimes and those crimes committed by the part of his followers – a huge one without any doubt – within Spanish society. The fall of Rajoy gave hope that the People’s Party will shift towards more moderate positions and that a new leadership could participate in the country’s final national reunion. It is a reunion that should be based on the acceptance that the Franco regime remains a part of Spain’s gloomy future. However, the election of the young Pablo Casado as the new leader, is proof that traditionalists still control the party. In fact, Casado, who was born after the fall of the Franco regime, seems to have very conservative ideas. Some of them could put in question the entire system established in 1976. Casado, for instance, has campaigned for the reintroducing of more restrictive abortion legislation, toughening up the criminal code’s response to secessionist attempts, and reforming election laws “to stop depending on nationalists and minority parties”.